The coup that led to the ouster of Zimbabwe’s President Robert Mugabe was supposed to be executed in December, ahead of the Zanu-PF special congress, but had to be brought forward when vice-president Emmerson Mnangagwa was axed. City Press has learnt that the military, political players and diplomats had been hatching the plan for some time in order to prevent the ascendancy at the congress of the G40 faction of Zanu-PF. Its figurehead is First Lady Grace Mugabe. Several governments in the region and abroad had been made aware of the plan and had no objection. They insisted that there be no bloodshed and that the overthrow should not be characterised as a coup. Mnangagwa’s axing from the Zanu-PF leadership and his government position was meant to pave the way for Grace to succeed Mugabe. But it had the opposite effect, speeding up her own demise and ending her husband’s 37-year rule. Sources told City Press that a senior Zimbabwean diplomat “sensitised” regional governments “to the idea and necessity of the coup” and “received assurances that there would be no military intervention”. Yesterday, in Harare, thousands of people protested at a mass rally and, while chanting “he must go!”, marched to Mugabe’s Blue Roof mansion to demand that the 93-year-old leader step down immediately. Similar rallies in support of the army’s action took place in other cities around the country. The Zimbabwe Defence Force (ZDF), led by General Constantino Chiwenga, took control of the country on Tuesday night, placed Mugabe and Grace under house arrest, parked tanks outside key government buildings and took over the Zimbabwe Broadcasting Corporation. Army spokesperson Major General Sibusiso Moyo went on air to tell viewers that the military was in charge, in order to ensure that it dealt with the “criminals” in Mugabe’s inner circle. “We are only targeting criminals around him who are committing crimes that are causing social and economic suffering in the country, in order to bring them to justice‚” Moyo said. 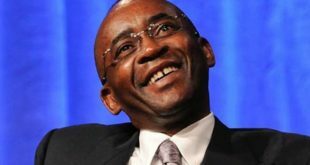 The coup, sources told City Press yesterday, was given the tacit approval of China, Zimbabwe’s largest development partner. China was asked to provide the assurance that it would not stop its “economic and technical assistance” to Zimbabwe if Mugabe was deposed. It did so, on condition that its strategic interests in the country were not compromised. “The Chinese were keen on knowing who would take over. When [the diplomat] informed them that it was Mnangagwa, they were thrilled as he is an old friend of China. He did his military training there,” a source said. Last week, Chiwenga travelled to China and other countries in southern Africa to “consolidate the assurances”, having told Mugabe that “he was going for medical follow-ups … but he was really coming for consultations”. On Wednesday, President Jacob Zuma dispatched Minister of Defence Nosiviwe Mapisa-Nqakula and State Security Minister Bongani Bongo to Zimbabwe to hold talks with Mugabe and the generals. Another source said that the coup was also brought forward by plans to arrest Chiwenga upon his return from his visits out of the country. The plan, City Press learnt, was to arrest him when he arrived at the airport in Harare. However, military intelligence learnt about the plan and thwarted it by waiting for him at the airport. Another source said Mugabe was “very angry that no regional leader actually called for his restoration to office”. Despite the calls for no violence and bloodshed, there were several deaths and other serious injuries during the ZDF’s crackdown on politicians they believe orchestrated Mnangagwa’s axing. In the early hours of Wednesday morning, soldiers shot dead a security guard when they stormed finance minister Ignatius Chombo’s house. On Thursday, an intelligence officer known as Munedzi died of his injuries at a military barracks in Harare, after soldiers severely beat him. Zanu-PF youth wing leader Kudzanayi Chipanga was beaten. Central Intelligence Organisation (CIO) director of security and head of Mugabe’s security, Albert Ngulube, was hospitalised on Wednesday after soldiers assaulted him. Ngulube refused to comment, but a close relative said that he was in his office on Tuesday evening with his boss, acting CIO director-general Aaron Nhepera, assessing the security and political situation after receiving intelligence about the movement of army tanks. “He called the army to find out what was happening as the large movement of military equipment without the knowledge of the president, who is also the commander in chief of the army, was unusual. The military told him there was nothing. He kept pushing the army for answers, but they didn’t tell him anything. “Later, he went to brief Mugabe about the situation, painting a picture that a state of emergency was developing,” the relative said. After meeting Mugabe at his palace in Borrowdale, Harare, Ngulube headed to town to discuss rumours that the army had seized the Zimbabwe Broadcasting Corporation. “He noticed a car following him. Immediately, 10 soldiers ambushed him, dragged him out of his car and beat him up. They beat him with a gun and blood gushed out of his head. They kicked him and jumped on top of him,” the relative said. They took him to the presidential guard headquarters where they continued beating him, said the source. The beatings worsened after Grace Mugabe made a call to his phone. “They stripped him naked in the morning and they took him to military intelligence officers who released him when they found he had struggle credentials,” said the relative. 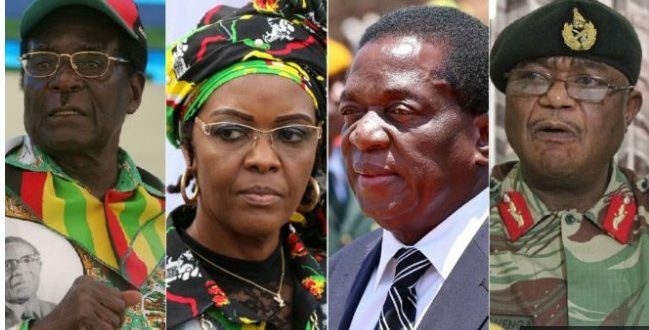 Another source said Grace Mugabe’s allies and members of Zanu-PF’s so-called G40 faction – higher education and local government ministers Jonathan Moyo and Saviour Kasukuwere – were also targeted. “The operation started at Chombo’s house in Mount Pleasant. They fired their way into his house and arrested him. A security guard who resisted got himself killed in the process. They arrested Chombo and took him to a military barracks,” the source said. By midnight, Moyo received information that soldiers were coming to his house. “He abandoned his mansion in Greystone Park, took his family and ran off to Kasukuwere in Glen Lorne, Harare. They hid there, fearing the worst. Around 2am on Wednesday, about 15 soldiers arrived at Kasukuwere’s house and started shooting indiscriminately for about 15 minutes,” the source said. Paul Chimedza, the premier of Masvingo province, was arrested and beaten while trying to escape to South Africa, said the source. Next week will be crucial to Zimbabwe as the Zanu-PF leadership of the country’s 10 provinces will make formal submissions to the party’s headquarters for Mugabe to be immediately removed as its leader. They will ask for Grace to step down as head of the Zanu-PF women’s league. The process of getting the provincial leaders to throw their weight behind the coup began on Friday and continued this weekend, with eight of the 10 provincial leaders behind the move. 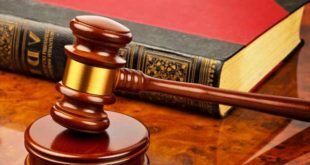 By Tuesday, the provincial Zanu-PF structures will call for the reinstatement of party leaders Mugabe dismissed, because it was not done in accordance with the party’s constitution. Mnangagwa and others from his Lacoste faction “would have to be restored”, said a source with intimate knowledge of the situation. After that is done, Zanu-PF’s central committee is expected to state that because the demands for Mugabe’s recall came from all 10 provinces, it would be forced to adopt the resolutions and vote for Mugabe’s removal as party leader. After that, the sources said, Mugabe would have no option but to resign, being forced into a constitutional corner that will leave him without the crucial support of the army. “It is hoped that this resignation will take place on Tuesday. Should he not resign, MPs from both Zanu-PF and the opposition Movement for Democratic Change (MDC) will impeach him in Parliament. In that case it will not be a resignation but a dismissal,” said a source close to talks within the party. Thereafter, a transitional government headed by Mnangagwa will be placed in charge, which sources said, “will be inclusive of all major political leaders, including MDC leader Morgan Tsvangirai. “This interim arrangement is anticipated to last until August 2018, at which stage fresh elections are scheduled. This may change,” a source said. “The way this change was planned and how it is being executed is simply brilliant. This has been a master stroke,” said another source. Isaac Nkama, a council member of both the SA Institute of International Affairs and African Futures Council, said while military intervention in politics should never be encouraged, the ZDF had exhibited both tact and discipline. “Technically speaking, this is not a military coup in the traditional sense,” he said. Nkama said it would only be a matter of days before Mugabe was removed from office, and that it was positive that the ZDF had tried hard not to humiliate Mugabe. Zuma’s spokesperson, Bongani Ngqulunga, said the South African government didn’t have any information about the developments in Zimbabwe before they happened.